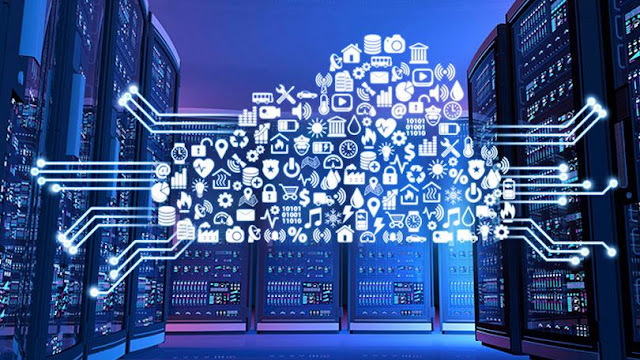 In one of our earlier posts, we explained the differences between various types of hosting services. VPS, is a virtualized server running in isolation giving similar benefits of a Dedicated Server to a certain degree. VPS servers require more server administration and management experience than Shared Hosting. HostGator India, is a leading provider of VPS and Dedicated Servers. To ease the administration & management of the servers, HostGator provides Plesk panel with their VPS plans. Plesk is a popular hosting control panel which offers a great amount of control & reliability, without compromising on the performance of VPS. Plesk makes website administration and all related tasks like setting databases and business email accounts much easier. The VPS hosting plan of HostGator comes pre-installed with Plesk, which efficiently manages the server environment. The automatic installation of Plesk ensures that your VPS is ready to use with all the softwares installed. To name a few out-of-the-box features - Apache, Nginx, PHP, MySQL, Docker, Git, WP-toolkit, Let’s Encrypt, CloudFlare, Fail2Ban, and many more. It allows you to secure the server, websites, sub-domains and webmail all at the click of a button. Further, security comes pre-configured with various authentication methods, anti-spam, anti-virus, and vulnerability monitors. Plesk has a WordPress toolkit which is secure and a one stop solution for the users. A simple installation can initialize and configure WordPress while with the interactive dashboard, users can manage multiple instances. Further, it provides a stage environment where new features can be tested before implementation. 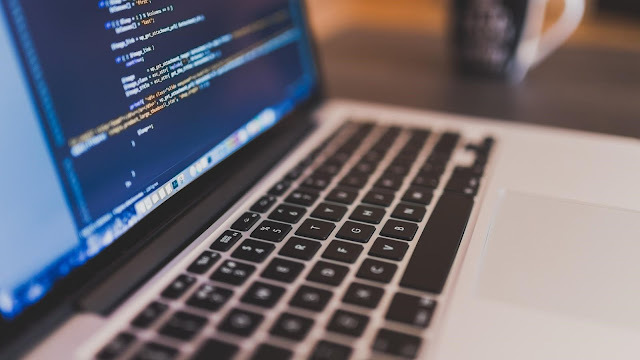 WordPress toolkit is a secure way with which full control of WP-CLI can be acquired and different modes such as debug, maintenance and search index management can be used to get more flexibility. In addition to Docker being integrated with Plesk, it provides integration with other platforms. Git Integration for version control, Ruby integration provides support for Rails and Sinatra and Node.js provides one click deployment of applications to website. The system updates tool allows easy update of system packages on server without the need to access the console. Further, the usage of system resources (RAM, CPU, Disk I/O) can be limited by the use of CGroups. Resell Hosting is the unique selling point of Plesk. 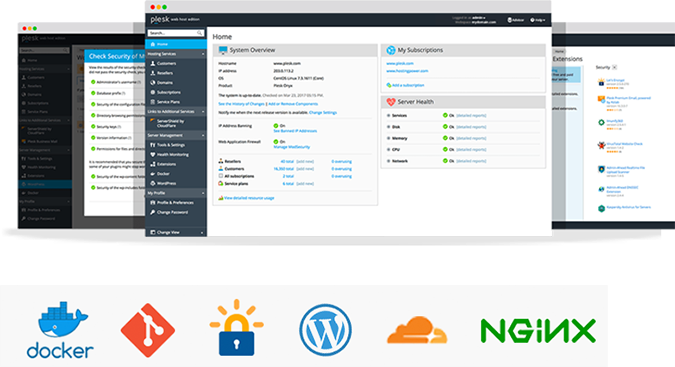 Multiple WordPress instances can be managed by Plesk with WordPress toolkit. It clones the website and sets up a staging environment to check new features, run experiments, etc. Through a single page, you can view or modify the Site Title, Administrator/Files/Backup Access, Nginx caching for improving site loading performance, a snapshot of Security Status, Update manager, Plugins, Themes, Database manager and Maintenance mode. This feature is available with Web Host Edition of Plesk. Plesk’s repair utility helps to automatically diagnose and resolve issues with Plesk services. Whenever an issue is detected a permission box is prompted which will ask for approval for reconfiguring a service to fix the issue. Plesk also helps to schedule backups in full or incremental mode which helps to rollback any changes to the database or website. 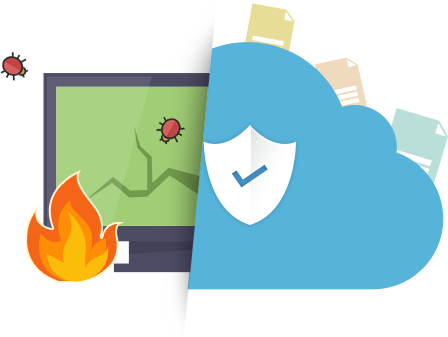 This backup is kept in the same server or you can even place it on the cloud storage of your choice, Google Drive, OneDrive, etc. Plesk can be used by anyone, as it provides an optimal solution to manage the ever-increasing needs of your website. Its intuitive interface provides users with an easy solution to manage their web hosting business or a simple website. 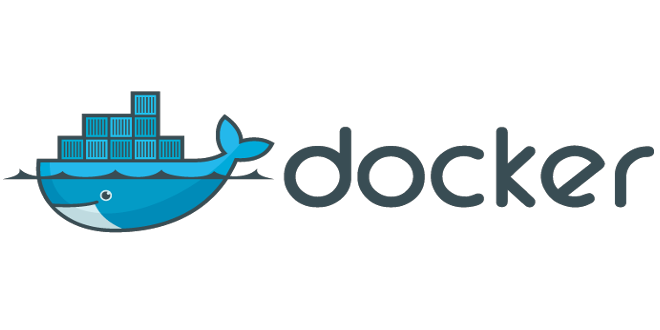 Docker Support is provided by a tool which provides a simple user interface for efficient Docker Management. Also, Docker Image catalog can be used to search which is pulled up from hub.docker.com. Further, environment variables can be set and Docker CLI can be executed with the Docker Management tool. The Plesk servers are built with Solid State Drives which makes the server disk read/write operations very effective. This then provides an enhanced experience to an integral part of the server. The security of the VPS environment is provided by Hypervisor-based virtualization which brings better isolation along with enhanced security. A network of high stability is designed with multiple reputed ISPs. 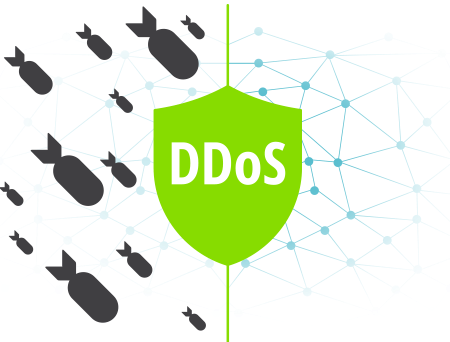 This eliminates a single point of failure with the help of integrated DDoS protection at no additional costs. The virtual servers provide full root access for admin access. This gives the flexibility to access hosting environment and install custom software without any restrictions. The server management panel gives full control on the server, where one can perform actions such as start, stop, rebuild etc. Plesk VPS from HostGator India can be a great solution for your website needs and you can also upgrade or download India plans. Also, exceptional benefits, technical configuration, 45 days money back guarantee and industry leading experts for unparalleled support, made Plesk an award-winning tool in the support category.